Built in 1912 by Charles and Henry Greene, the Cordelia Culbertson House has the honor of being on the National Register of Historic Places. It was the last big project the brothers worked on together, and an Asian influence gives it a lighter feel than their other works. 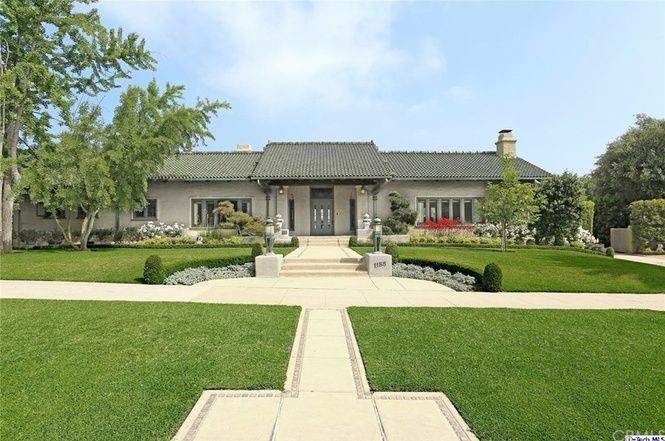 Unlike most other Greene and Greene works, this masterpiece has a gunite exterior. This simple siding is enhanced by the addition of two columns at the entry and nicely complemented by a dark-green tiled roof. The living room is bright and airy, with large paned windows that overlook the courtyard outside. A built-in cabinet sits on the right side of the room, and the Greenes' attention to detail can be seen in the molding that runs along the top of the wall. 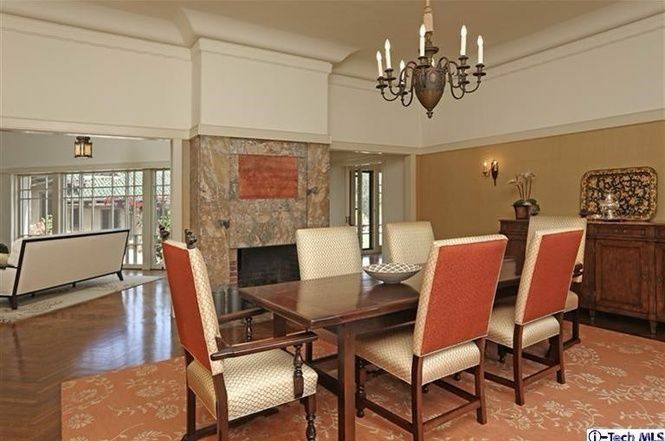 Off to the right of the living room, the dining room features a beautiful marble fireplace. The two-tone walls add visual appeal, and the space is lit by an elegant chandelier above the dining table as well as by a wall sconce. The kitchen feels nice and airy thanks to high ceilings and windows along the far wall, and it offers ample cupboard and storage space. 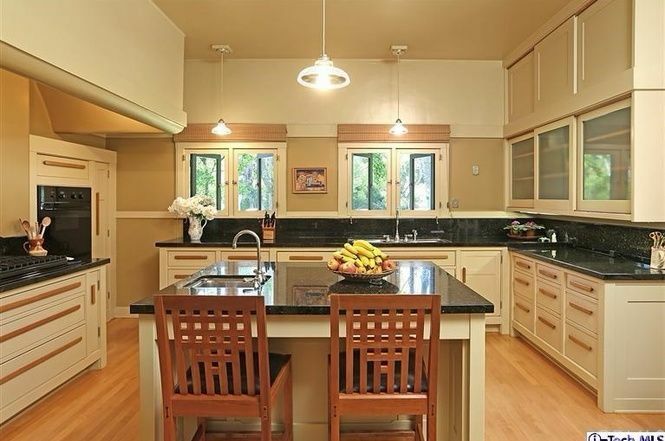 A large central island includes an extra sink as well as a small breakfast bar. 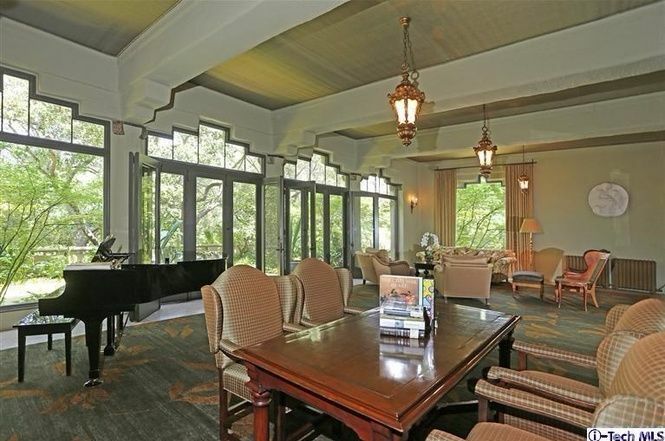 Designed for entertaining, this beautiful room has a grand piano and several sitting areas. Lofty beamed ceilings make the space feel open and airy, while floor-to-ceiling windows add visual appeal and let in plenty of natural light. 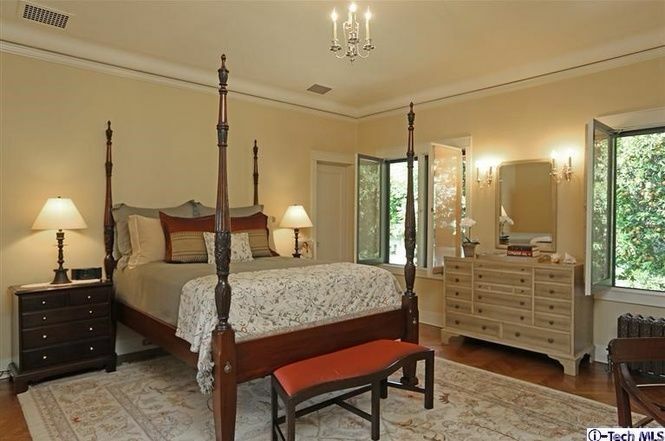 The gorgeous master bedroom is partially divided into two sections by a series of columns. A sitting area takes up the left side of the room, while the sleeping space is off to the right. A huge walk-in closet with plenty of storage is attached to the master bedroom. 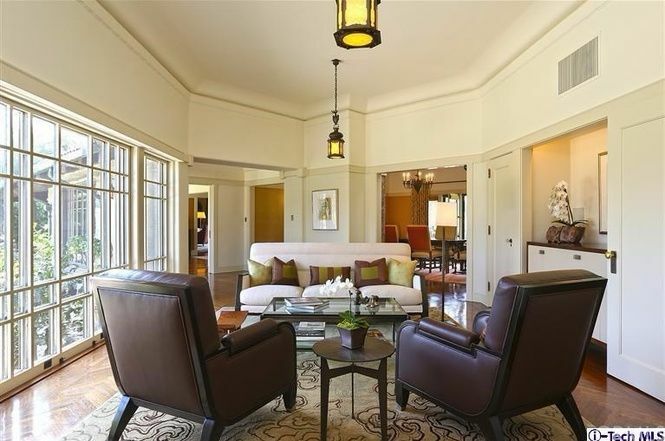 The room boasts a beautifully patterned hardwood floor, an elegant chandelier and sliding glass doors at the back that provide access to the patio outside. The master bathroom is large and luxurious, with a huge bathtub, two vanities and several good-sized windows. 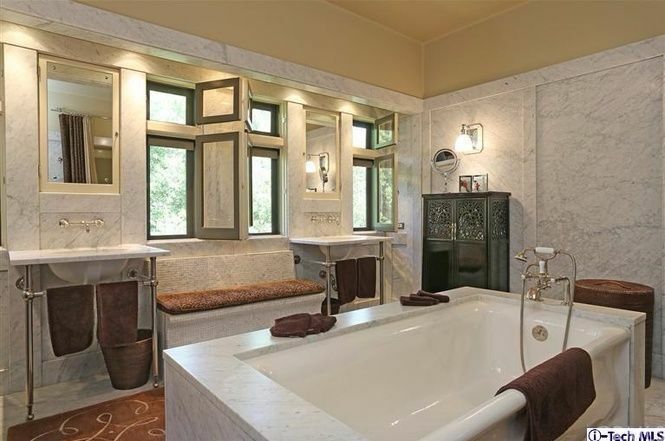 Elegant marble covers most of the walls, and a window seat sits between the two sinks. 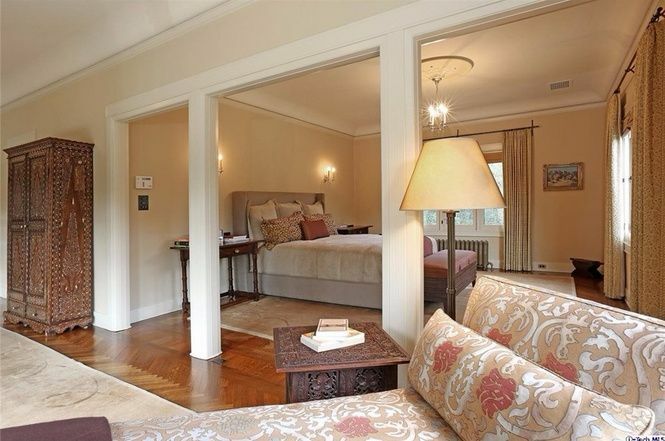 This second bedroom is smaller than the first, but it's just as elegant. Another small chandelier hangs from the ceiling, and two large windows let in plenty of fresh air and sunlight. 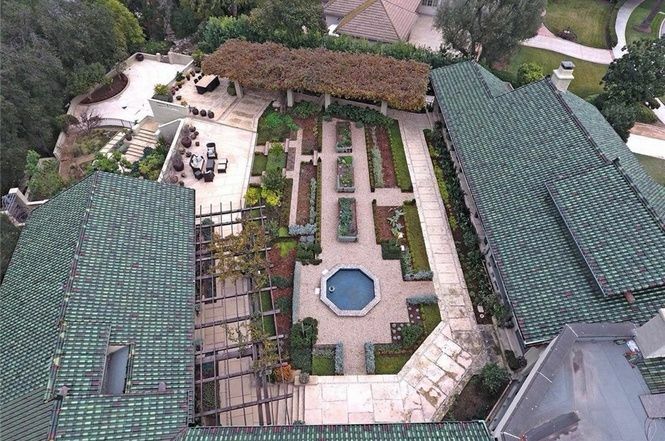 The home also boasts a partially enclosed courtyard, which features several sitting areas, rose and wisteria arbors, raised flower beds, tiled walkways and a beautiful tiled fountain in the center. 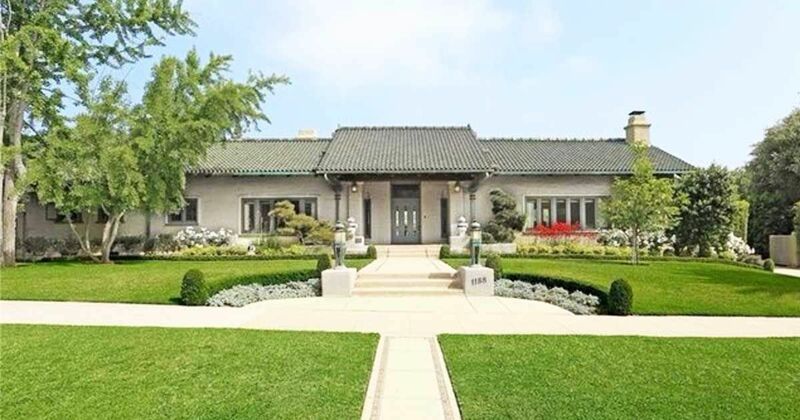 What do you think is the best feature of this historical home? Let us know in the comments on Facebook, and make sure to share this article with your friends if you loved it!